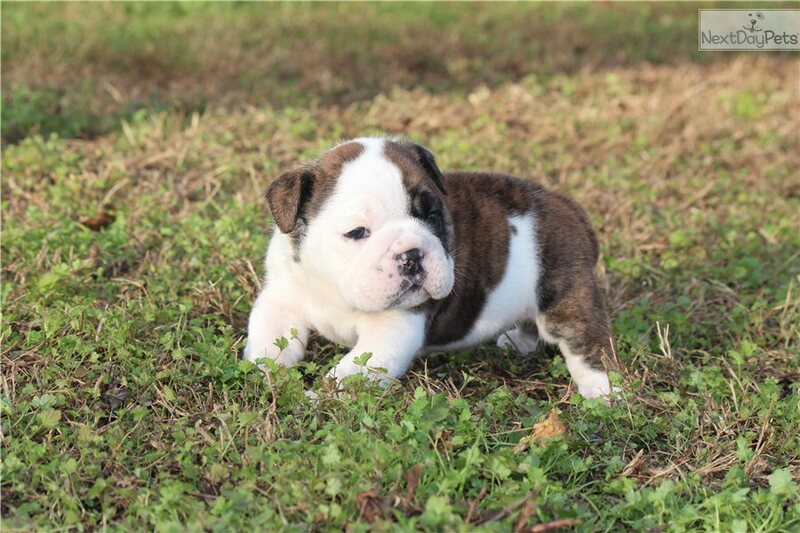 This Bulldog nicknamed Noel sold and went to a new family. Noelis a beautiful white and red brindle. She has been raised in our home around our children and our other dogs. 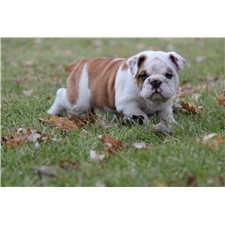 We are located in Missouri but we are willing to travel a reasonable distance to meet our puppies new families. We also have a flight nanny that will fly with them. We offer a 1 year health guarantee, UTD shots and vaccinations and a puppy pack.